Astute's Skylite Pilarga SR saddle may look on the pricey side, but with its twin bases, shock absorbers, memory foam and carbon fibre rails, you're getting a lot of engineering from this Italian handmade saddle. Add to the fact it's one of the most comfortable saddles I've every ridden and all of a sudden that cost is looking value for money in terms of smiles per miles. So what makes it so special then? Well, I think it all comes down to the details – little added extras that make the saddle a little bit better in terms of comfort and, just as importantly, aesthetically. The tri-density memory foam padding is, quite simply, brilliant. It's quite hard, you can feel that if you try to push it down with your thumb, but once you place your full body weight down it moulds to your shape and offers plenty of support. The main comfort comes from the twin base, though. Two thin layers of nylon, the upper one reinforced with carbon, create a hull that flexes in between the stiff, one-piece carbon fibre rails, therefore absorbing road imperfections and impacts. It can be a bit disconcerting at first, as you kind of feel like you're floating in the middle of the saddle rather like a hammock, but you soon adapt. The movement is subtle, mind, it's not like you're bouncing off down the road. The reason there are two bases is more for aesthetics than performance: it means that the Microfibre upper can be stretched over the foam and sandwiched between the two to avoid the need for any glue or ugly staples. It certainly gives a very smooth, clean finish to the overall look. I mentioned the stiffness of those carbon fibre rails and it's no exaggeration: they don't move at all. To help here, Astute uses two small rubber elastomers at the junction between base and rail at the rear. I honestly couldn't feel any benefit directly from it, which could be down to how good a job the padding and base are doing. Put it this way, the elastomers don't make the saddle too soft. As far as fit goes, most race saddles tend to be around the 135mm wide mark but the Pilarga has a wider rear end at 10mm more. This gives a little bit more material for your sit bones, making it ideal for the current crop of endurance and sportive bikes we're seeing on the market of late; the more upright, relaxed position is changing how you sit compared with a nose down, bum up race position. The nose remains narrow, though – around 40mm – so for those with large thighs you don't get any rubbing issues when pedalling. With a length of 275mm, it's about 30mm less than you get with, say, a Fizik Arione, which you might miss if you like to be able to slide to the back of the saddle when climbing. Saying that, though, the wider rear portion of the Pilarga means you have something to push against when it gets really steep. The rails are standard 7mm diameter and while having flat sides, the top and bottom profile are rounded to fit straight onto the majority of seatposts; it fitted with every one I tried. There is plenty of room at the rear to fit a saddle bag too. Weight wise, it's not exactly light compared with similarly priced saddles, especially considering the materials used, but we're only talking 50g or so, so it's not exactly a deal breaker. Overall, I love the Astute, even a little bit more than the Fizik Kurve Snake I tested last year. The Pilarga looks classy and offers a ride that is truly forgettable, which is something you want in a saddle. The details and finish really help to justify the cost, and being one of your main contact points it's worth spending out on something that suits. On price it matches the Fizik at £190, and yes, it's extravagant, but for this level of comfort, quality, looks and even exclusivity, I would buy one. It added to the pleasure of riding my bike for hours on end and that can only a good thing, right? 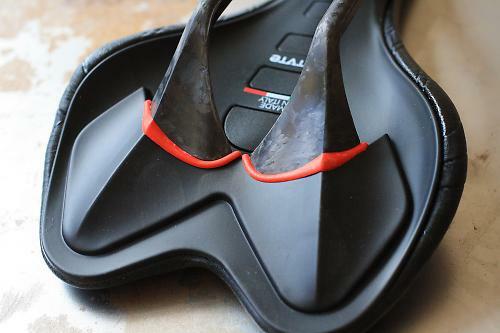 Astute has this to say about the Skylite: "SKYLITE is a saddle designed to meet athletes' specific needs. The full carbon rail enhances its well-known features of toughness and lightness. This saddle is perfect for people who are looking for a new product with advance technical features and aesthetic details that make a difference." The Skylite Pilarga is an excellent saddle for both performance riding and when you want to take things a little easier, those day-long epic rides when you need a saddle that is comfortable and supportive. With carbon fibre and shock absorbers they have certainly gone down the innovative route. It looks beautifully put together with real attention to detail. I got on with the Pilarga straight out of the box and nothing has changed. Everything looks well made and put together. There's nothing to suggest the carbon rails are at all fragile, but I've had others snap in the past. Not super-light for a saddle of its price, with the twin base construction most likely adding the weight over the likes of Fabric's Scoop. The Astute is a brilliant saddle for a whole range of applications. The memory foam padding means that it's comfortable from day one and remains that way. The slight flex in the base adds to this without the saddle feeling overly soft. Considering the carbon rails and build quality, the Skylite Pilarga is a premium product at a premium price. At £190 it's pricey for a saddle but if it's one that makes all of your riding a joy, I'd say, for me anyway, I could borderline justify it. There are other cheaper options in the range, mind. Superbly. A clever mix of stiff materials and comfortable fabrics. Pretty much everything, a saddle that just feels 'right' straight out of the box. Carbon rails bring a premium price. I pretty much sit on a different saddle every ride thanks to the constant rotation of test bikes and while I'm lucky enough to get on with the large majority of seats, the Astute Pilarga just felt right every time I sat on it. No adjustments or bedding in needed, straight out of the box it's a brilliant saddle which, coupled with the build quality and finish, means it's a product that's hard to fault. The price alone will make many riders baulk, but for all-day comfort whether you are taking it easy or on the rivet, I'd consider it a worthwhile investment. I have a standard Selle Italia X1, about £20 give or take, and it's really really comfortable on long journeys. This sounds like a crazy amount of money for a saddle! Looks like a nice saddle though. 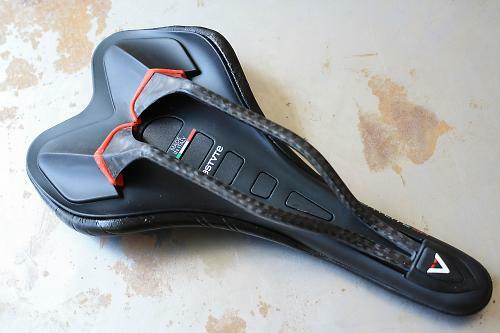 Every saddle review is basically null and void. What feels great for you, might feel horrible for someone else. Only way to find out what suits is to keep on buying until you find your ideal perch, usually hundreds of quids later. If that fails, bike fit gets blamed. I struggle with just 1 sit bone being painful, got no idea why, maybe 1 leg shorter than the other. Easier not to bother, take up a proper sport like darts or summat, get to sup loads of booze and get leathered.